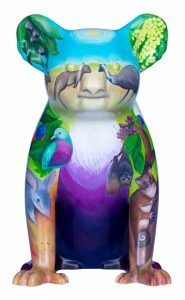 Sometimes it can be hard to keep up with these busy Hello Koalas sculptures so please check this page before you visit the Hello Koalas Sculpture Trail. 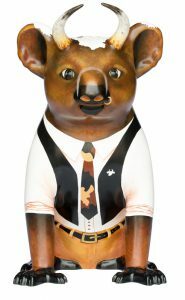 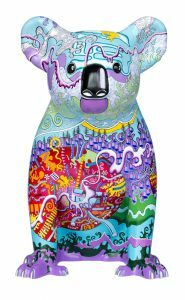 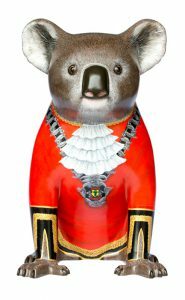 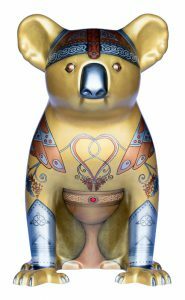 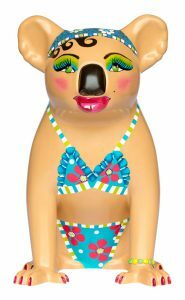 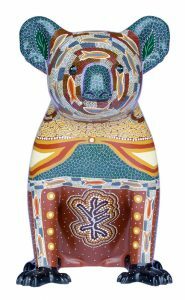 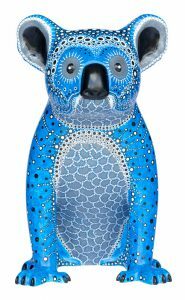 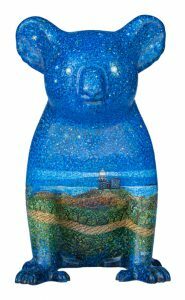 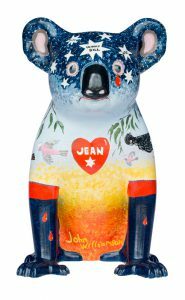 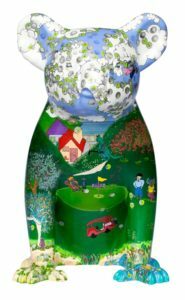 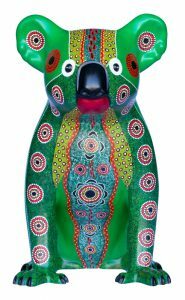 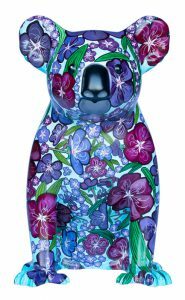 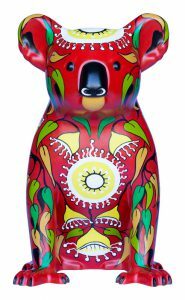 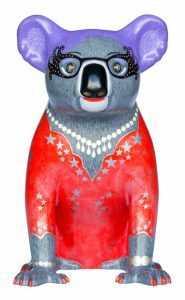 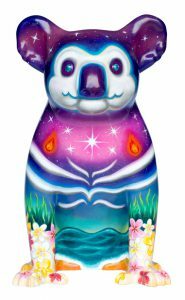 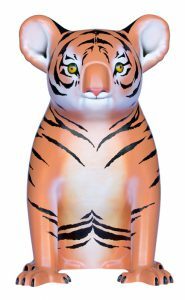 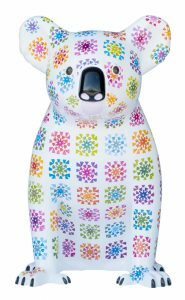 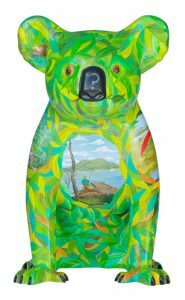 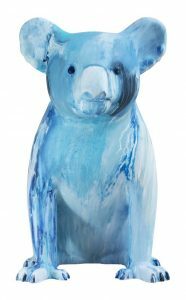 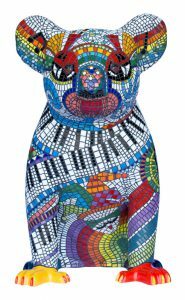 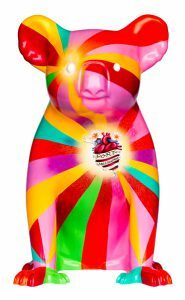 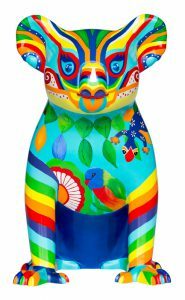 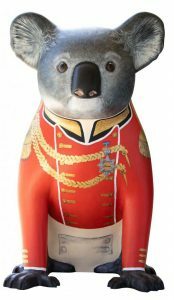 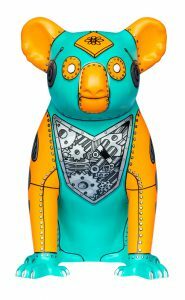 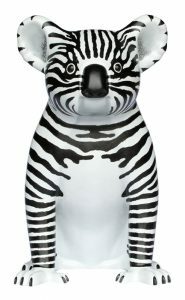 Please text 0416 641 482 with any queries about Hello Koalas Sculptures. 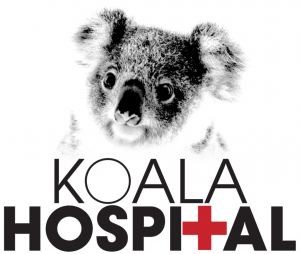 REGISTER for Car for Koalas Show and Shine here. 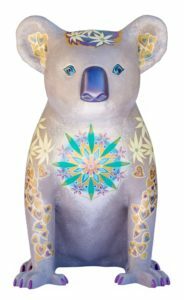 The Carramar Koala Quest at the Australian National Botanic Gardens in Canberra has just completed a wonderful exhibition in March, in association with the Enlighten Festival and ACT Events, National Zoo and Aquarium, Tidbinbilla Nature Reserve and University House. 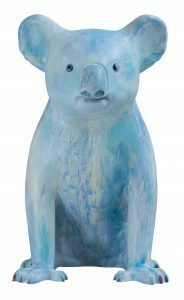 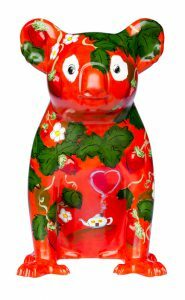 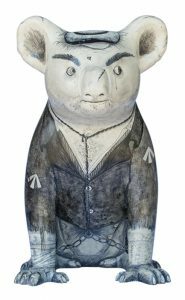 Twenty Hello Koalas sculptures were on show during the month of March. 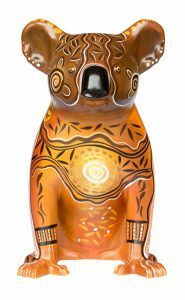 Ranger Riley, Scoop, Crusader Koala, Captain Koala, Buzzy Bee, Bushby, Gum Blossom, Alira, Komorebi, Koalatron, Benjamin The Return of the Thylacine, Percy Crossingsafe, Mandy the Mandala Koala, Shelly, Jimmy, Kalido, Guula, Koala Boy, Wildlife Warrior, and Carramar. 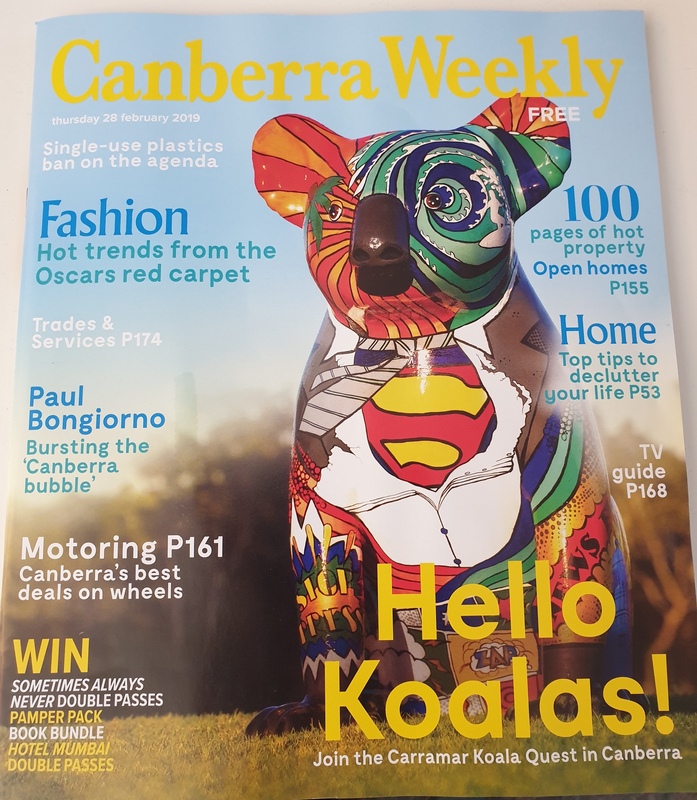 Scoop was thrilled to be on the front cover of Canberra Weekly with its 96,000 readers! 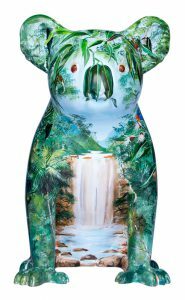 Here is a copy of the Carramar Koala Quest map on the Parks Australia website. 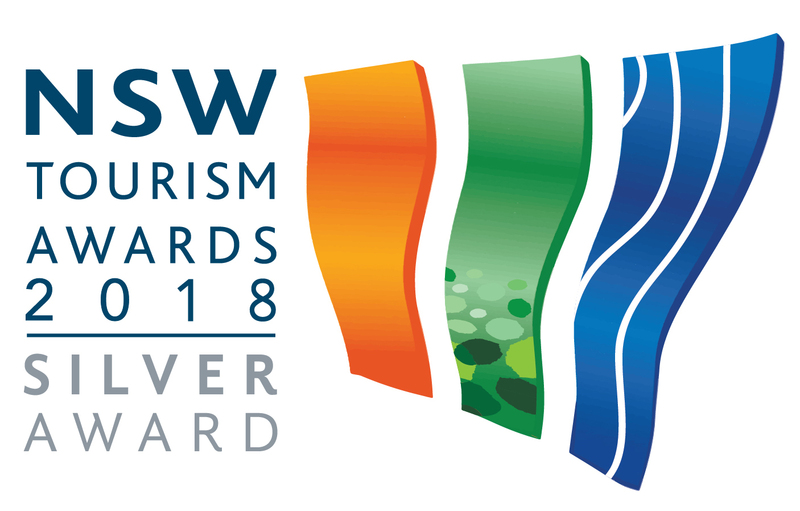 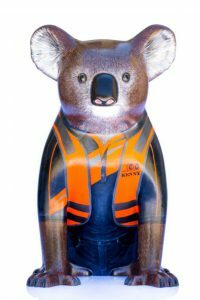 The Mayor of the Koala Republic is appearing at the Royal Easter Show with Ranger Riley, Ambassador for NSW National Parks and Shelly, our National Parks marine life koala. 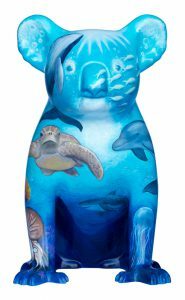 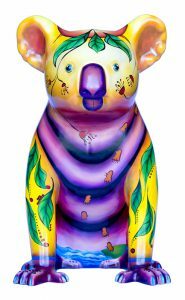 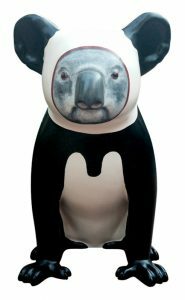 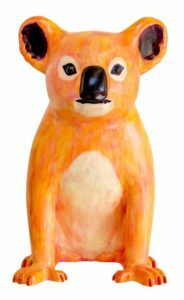 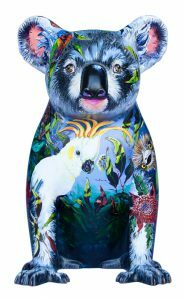 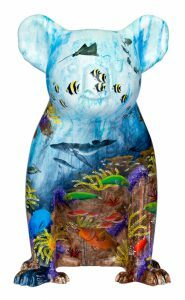 All three koalas were painted by Pauline Roods who will be painting a new dinosaur koala on the Derivan Paints stand in the Arts area. 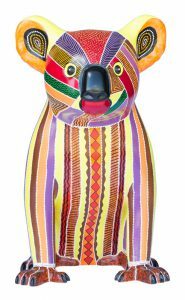 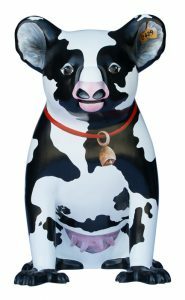 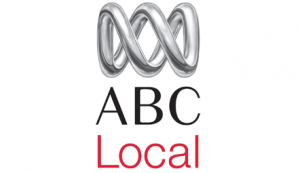 Alira has moved to Settlement City Shopping Centre and Nulla is taking up residence at Slim Dusty Centre in Kempsey. 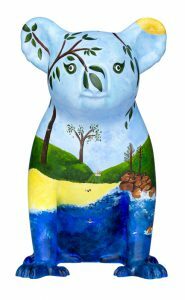 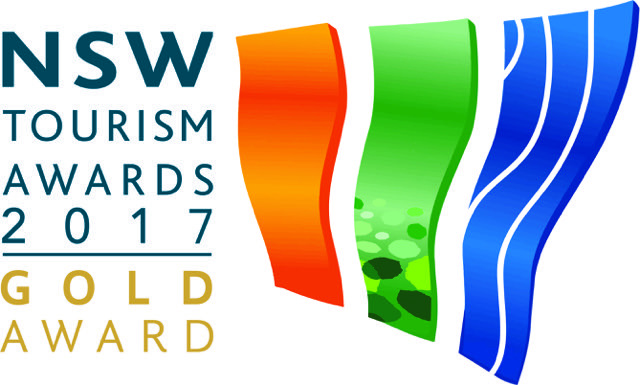 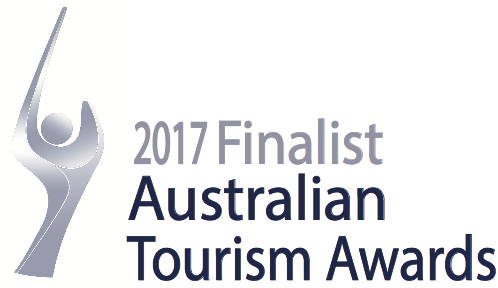 Woody is located at the award winning tourist attraction, Sealy Lookout at Coffs Harbour and enjoying the new Tree Tops experience there. 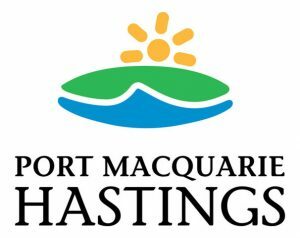 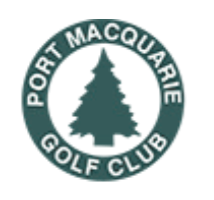 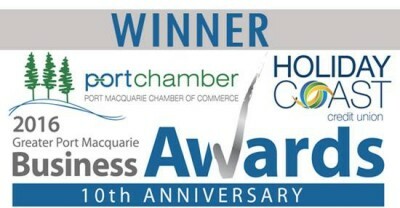 Watch out for the turn off from the Pacific Highway just past the Big Banana when you travel north from Port Macquarie. 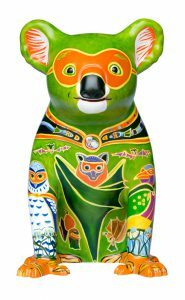 Some Hello Koalas are having a holiday after their huge Canberra experience with record attendances and social media posts for the Australian National Botanic Gardens and partners. 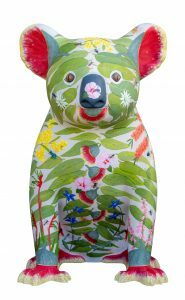 They include Gum Blossom, Bushby, Wildlife Warrior, Benjamin, Mandy, Komorebi, Buzzy Bee. 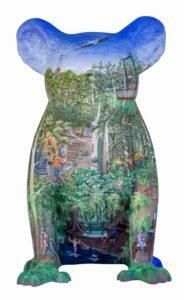 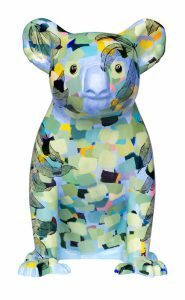 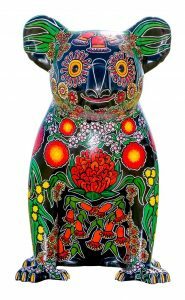 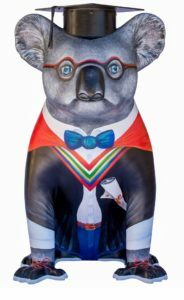 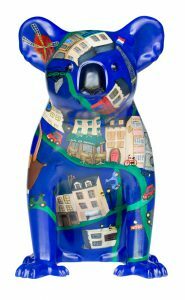 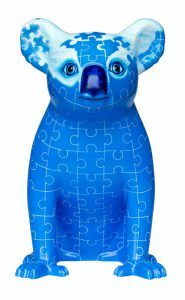 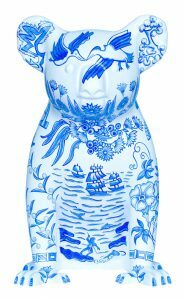 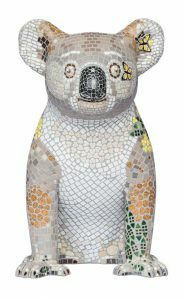 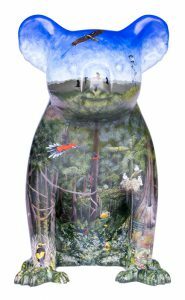 But they will all be back for the Hello Koalas Festival (6 – 9 June) – the one time of the year when all the Hello Koalas sculptures gather together for an annual reunion. 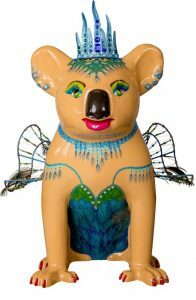 Buzzy Bee has stayed behind in Canberra to be a special guest at World Bee Day at the Swedish Embassy on 23 May at the invitation of the Swedish Ambassador. 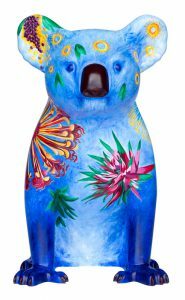 Buzzy, our native bee koala, is honoured. 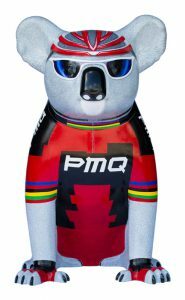 More details shortly. 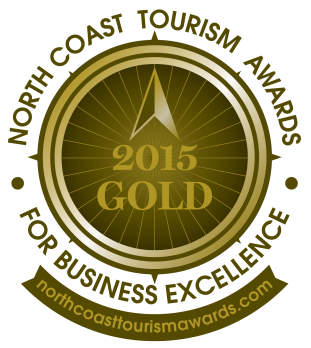 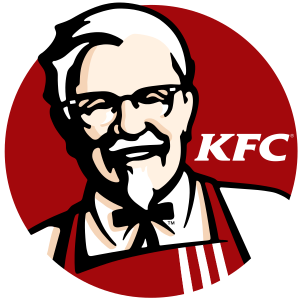 Don’t forget to post your photos on Facebook, Instagram and TripAdvisor!